Dewi entered the film and television industry over twenty five years ago, and has worked on well over one hundred productions, climbing the career ladder from gopher to guvnor. After a brief spell in editing, Dewi became an experienced assistant director through working on flagship Welsh productions through the mid and late 1980’s, before branching out into top level television drama and feature films across the UK, which led to feature films & TV productions in Canada, France, Spain, Ireland, Romania, Pakistan and The Gambia, and to the management of several award winning productions back in Britain. Dewi’s eclectic career has encompassed Merchant Ivory films and flagship British Television productions, science fiction in Canada, horror movies in Eastern Europe, historical epics in Asia, pop videos in Africa, Bollywood films in London’s East End, football dramas in the Home Counties, ambitious low budget films across Europe, and award winning ITV network all-star Christmas drama back in Wales. Dewi still works as a line producer on various film and television projects, and now is increasingly working as a producer. Dewi has formed Garland Stone Productions as a genre feature film and television drama production company based in Wales, but drawing on his contacts worldwide. The first Garland Stone production, the vampire film High Stakes, is currently selling internationally through Los Angeles based sales agents. Garland Stone is in advanced development and funding on feature films in the US and UK and are shooting a series of short horror projects in the Middle East. 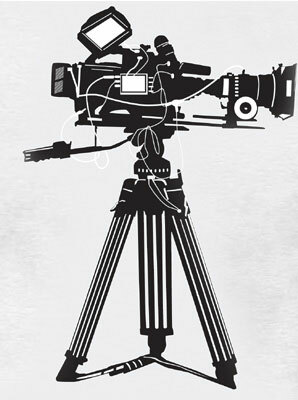 Dewi has a growing range of film and television production equipment available for hire. From its inception in 2008 until mid 2012, Dewi was Head of Production Faculty, Lecturer in Production and Business of Media at The Red Sea Institute of Cinematic Art in Jordan. Dewi was personally head hunted by the former Dean of the American Film Institute, and the Dean of the University of Southern California Film School for this role, being the only European hired. In 2010 The Hollywood Reporter named RSICA as one of the World's Top Ten Film Schools outside of the USA. At RSICA Dewi established a regional centre of excellence in producing, with his students taking on leading production roles in projects filmed in the region, including five feature films produced by his students within their first two years of graduation.